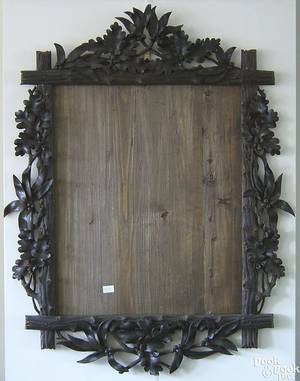 Black Forest carved frame, ca. 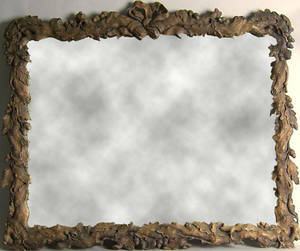 1900, 39" x 46". 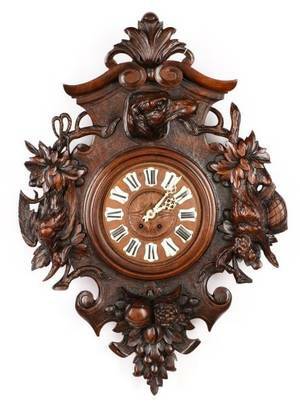 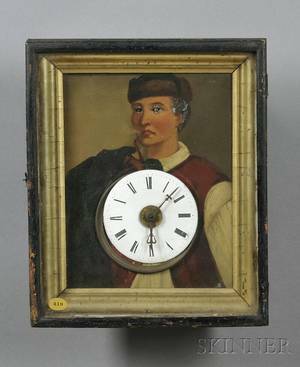 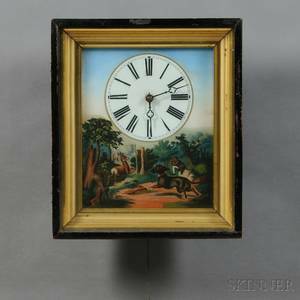 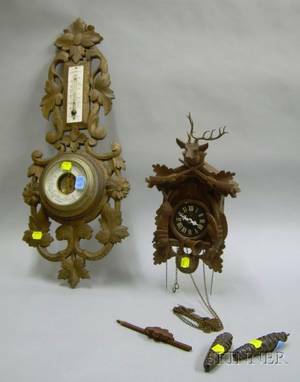 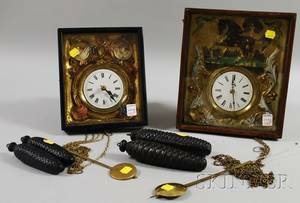 Black forest carved frame, late 19th c.
Black Forest Carved Walnut Wall Barometer/Thermometer and a Black Forest Carved Wooden Cuckoo Clock. 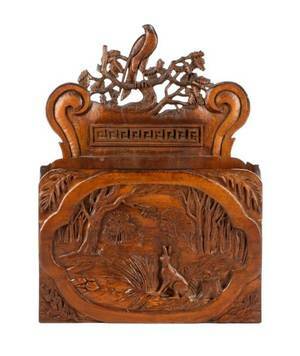 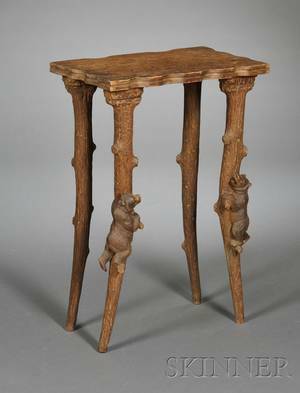 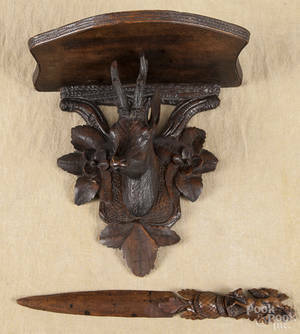 Black Forest Carved Letter Rack, Early 20th C.